The stock hit its highest level since listing on September 27, 2017, at Rs 1,015, surging 13% in past one week, as compared to no change in Nifty 50 index. 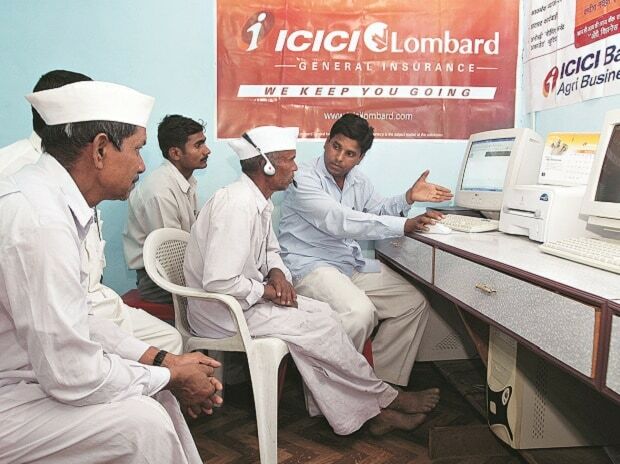 The shares of ICICI Lombard General Insurance hit a new high of Rs 1,015 apiece after surging 7 per cent in the intraday trade on Tuesday in an otherwise subdued market on the National Stock Exchange (NSE). The stock has outperformed the market by surging 13 per cent in the past week, as compared to no change in the benchmark Nifty 50 index. This is ICICI Lombard's highest level since listing on September 27, 2017. The leading private non-life insurer has registered 25.9 per cent growth in the gross domestic premium income (GDPI) collected in the December 2018 quarter (Q3FY19) from Rs 2,937 crore to Rs 3,699 crore. In the first nine months of FY19, the company registered a growth of 16.7 per cent in the GDPI collected from Rs 9,431 crore to Rs 11,003 crore. The industry recorded 13.1 per cent growth during the period. Solvency ratio, which is a measure of a company’s cash flow that is sufficient to meet its short-term and long-term liabilities, was 2.12 in Q3 of FY19 as against 2.10 in Q2 of FY19. The combined ratio of the company saw an improvement to 95.9 per cent in the third quarter of FY19 from 96 per cent in the third quarter of FY18. Combined ratio measures the money flowing out of an insurance company in the form of dividends, expenses, and losses. The insurer was a significant beneficiary of the court ruling on mandatory long-term motor third party (TP) insurance, given its dominance in motor sub-segments such as private cars and two-wheelers (contributed 80 per cent of total motor premiums). Analysts at JM Financial believe that ICICI Lombard is well-positioned to deliver 16 per cent GDPI growth – in line with the industry – over FY18-21E, enabled by structural factors such as non-life underpenetration and low density as well as urbanisation and rising asset ownership; granular focus on niche segments within Motor/Health and a diversified and productive distribution network. The brokerage firm maintains ‘buy’ rating on the stock with a target price of Rs 1,030. The Q319 combined ratio improved to 95.9 per cent thanks to a lower loss ratio in motor TP. “Historically, motor TP has been an unfavorable risk among India's non-life insurers due to higher underwriting loss. Going forward, once motor TP underwriting stabilizes, we think that insurers could consider a better capital allocation to the motor business leveraging up their balance sheets. This could lead to faster-than-expected ROE expansion. We do not think that strong underwriting on motor TP is due to lower IBNR loss reserving. We remain positive on the underwriting performance, expecting it to continue to improve with better risk selection and insurance portfolio diversification,” analysts at JP Morgan said on January 19, 2019 report. At 09:55 am, ICICI Lombard was trading 5 per cent higher at Rs 998 on the NSE. In comparison, the Nifty 50 index was down 0.19 per cent. A combined 326,469 equity shares changed hands on the counter on the NSE and BSE.